For starters, have you tried the sukku malli coffee in Parrys? Generally made with a blend of dry ginger, coriander seeds, pepper and cumin seeds, the version served at Kurlagam Complex near High Court has close to 13 ingredients (including long pepper and palm jaggery), and is brewed for two to three hours. The medicinal drink does wonders to battle cold and flu. originated at the Sri Varadarajaperumal temple in the town otherwise known for its silk saris, these idlis are still sold here by the kilo. Dotted with pepper corns, jeera (and cashew nuts in some versions), these mammoth idlis are usually steamed in tumblers or thalis. Loaded with dry fruits and nuts (think almond, raisin, cashew, pistachio, walnut, etc), the makkan peda resembles a flattened gulab jamun. 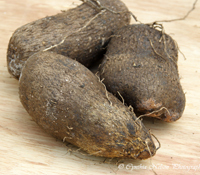 The sweet, said to have its roots in the homes of the Arcot Nawabs, is popular at stalls like Chairman Sweets and The Arcot Chettiyar Sweet Stall. It shouldna��t be hard to find the Bhoo Varaha Swamy temple in the Kattumannarkoil taluk, around 35 kms West of Chidambaram. The prasadam, unique to this temple, is a korai kizhangu laddu (made with a type of root) that will make your journey worth the while. 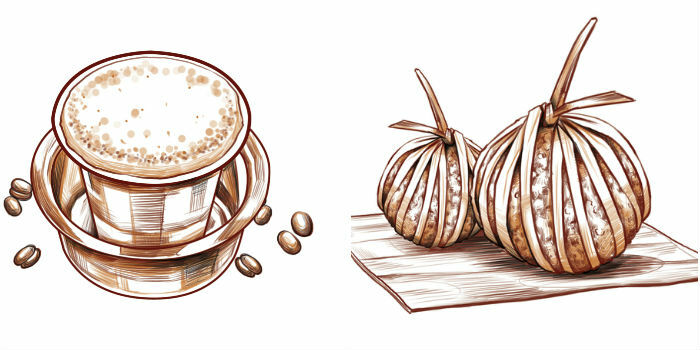 Kumbakonama��s famed degree coffee is distinct because of the purity of the milk used. While most of the places offering the original coffee made popular by Panchapikesa Iyer are shut, Muralia��s Cafe offers a version closest to the original. For breakfast, try idlis with kadappa, a kootu-like preparation of moong dal and mashed potatoes. The city popular for its Chola temples, Maratha palace, unique paintings and veenas, is also regarded as the birthplace of sambar by many. While there, be sure to ask around till you find a vegetarian meal that serves arachuvitta sambar (made with fresh ground masalas) and beans parrupu usili (a dry dish of beans and dal). 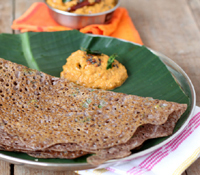 samba rava dosa (a thick rava dosa, sold by the piece) that is available near the temple. Aside from the steel and sago, Salem is popular for its non vegetarian fare. 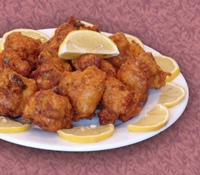 The mutton chukka, popular around the region, is slightly crispy compared to other versions. Also ask for Parasakthi mess, run by Vaishya Chettiyars, where the pichipotta kozhi varuval (stir fry of shredded chicken) is a must try. Your first visit in Cotton City should be to the Angannan Hotel in Town Hall, where you can enjoy a unique biryani devoid of tomato and onion-based masala. Using only dry masala for flavours, the Angannan biryani looks like a mild green pulao. Another dish you must try is the kambu koozh a�� a kanji-like preparation of mildly spiced crushed millet, that is both healthy and cooling. The city is also famous for its numerous bakeries where you can sit down for puffs and coconut buns with your tea. Besides the famous jigarthanda, Madurai is said to serve the softest idlis in the state. And while there, be sure to try the aira meen curry (made with a small river fish that is usually cleaned by soaking in milk) at Ganesh mess and the kari dosai (dosas topped with meat) at Konar mess. Amma mess, another popular eatery in the city, offers fare like nandu (crab) puttu, moolai (brain) masala, pura (wild pigeon) kozhambu and muyyal (rabbit) curry. You could stay here for a week and not get tired as the home of Chettinad cuisine has a lot to offer. 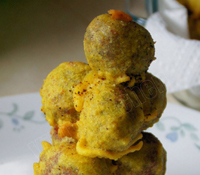 Be sure to try the kola urundai (spiced, mince meat balls) that is sometimes tied with string (this version is said to have been introduced to Tanjore by the Marathas), before being fried. The region also has its share of vegetarian fare that stands out a�� the kavan arisi puttu (made with black rice) and Rangoon puttu (named after the former capital of Burma) for instance. If time permits, visit Kanadukathan, a small town about 14 kms from Karaikudi, where the pazhaya soru meen kuzhambu (previous nighta��s soaked rice, had with fish curry) is quite famous. Also the birthplace of K Kamaraj, the town to the South of Madurai is famous for its varieties of parotta. Dona��t leave without sampling their versions of kothu parotta (egg, chicken, mutton, vegetarian) and the famous poricha (deep fried) parotta also called the yenna parotta or varki parotta. While the a�?iruttu kadaia�� halwa in Tirunelveli needs no introduction, this city is also popular for a sweet called munthiri kothu (literally translates to bunch of grapes) made with moong dal and jaggery. The sodhi, a vegetable gravy made with coconut milk, is another delicacy that is common in households of the region. This coastal city, popular for pearl fishing and its port, is also famous for its macaroons made with generous helpings of cashew nuts. Another special here is the muscoth halwa, a slightly harder version of the sweet, made with wheat flour. especially famous among visitors to the Courtallam water falls. What better way to end the trip than at the Southern tip of South India? The spicy cuisine of this coastal town takes influence from the bordering state of Kerala, so expect a good variety of appams and seafood here. 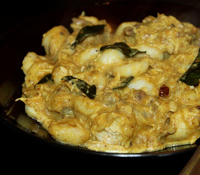 Do try the chakkoli (kozhi pidi in Kerala), a delicacy of rice dumplings in a coconut-based chicken or prawn gravy. 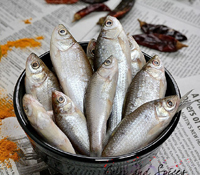 Panagam, a cooling drink that is good for digestion, is also popular in nearby places like Nagercoil (do try the Nagercoil fish curry, made with coconut). ?A� Ambur, Vaniyambadi, Dindugal a�� All three places are popular for their versions of biryani made with seeraga samba rice. ?A� Ooty a�� Do not leave without a bag of varkis from Woodlands Bakery in Ooty, or the New Indian Bakery, Coonoor. ?A�A� Kodaikanal a�� You will find home made chocolates in plenty at this hill station. ?A� Srivilliputhur a�� This town in the Virudhunagar district is known for its palgova, a milk sweet available at many outlets around the local bus stand. ?A� Kovilpatti a�� The second largest town in the Thoothukudi district is known for one of the most common sweets in the state, kadalai mittai. 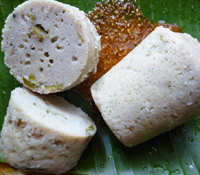 ?A�A� Manapparai a�� Originally made with butter, the murukkus of this town are still a hit across the state.